This photo concludes the Daily Photo series of photos taken and curated by Jeni Reid especially for WOVEMBER. For the WEARING WOOL phase of WOVEMBER we have been delving into the joy of WOOL FESTIVALS – surely some of the best places to see WOOL being worn, and also some of the best places to see how we collectively wear WOOL as a cultural meeting point! Monkl finds banana nirvana. You can match anything with yarn shades from Shetland. 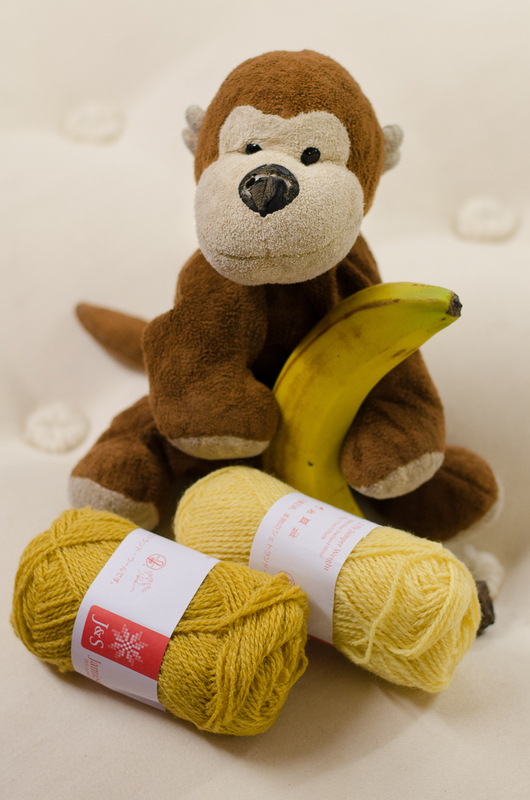 Here is Monkl, Felix’s faithful companion checking out the banana coloured yarns. Thank you so much to Jeni Reid for the amazing Daily photograph series curated for WOVEMBER! The end of WOVEMBER… almost.